Have you ever gotten a great deal on salmon and cooked all of it only to find that you had way too much of it left over after the meal? I have, too, which made me wonder, how long does cooked salmon last in the fridge? With the price of salmon being what it is, I did not want any of this delectable food to go to waste. I did some research on food safety and how best to store the cooked salmon so that it would taste good when reheated, and I wanted to share this information with you. Once you have cooked fresh salmon, it is important to use it up or toss it out before it goes bad; this is because spoiled food may cause you to get food poisoning. 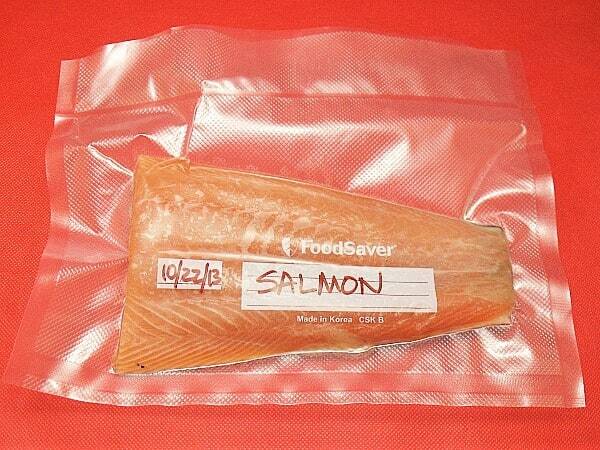 In most cases, you should eat the cooked, fresh salmon by the date printed on the package. If there was no date on the package, this article about the shelf life of foods explains that the leftovers should be consumed within three to five days. If your cooked salmon is left over from a dinner out, you should eat it within two days . Before you eat the leftovers, give them a sniff. Your nose will tell you if something is "off". If there is a milky, slimy or whitish substance on the outside of the fish, toss it out. If you have not eaten your leftovers within three to five days, it is best to throw them away. You should not compost the fish as it will putrefy and become unsuitable for composting. 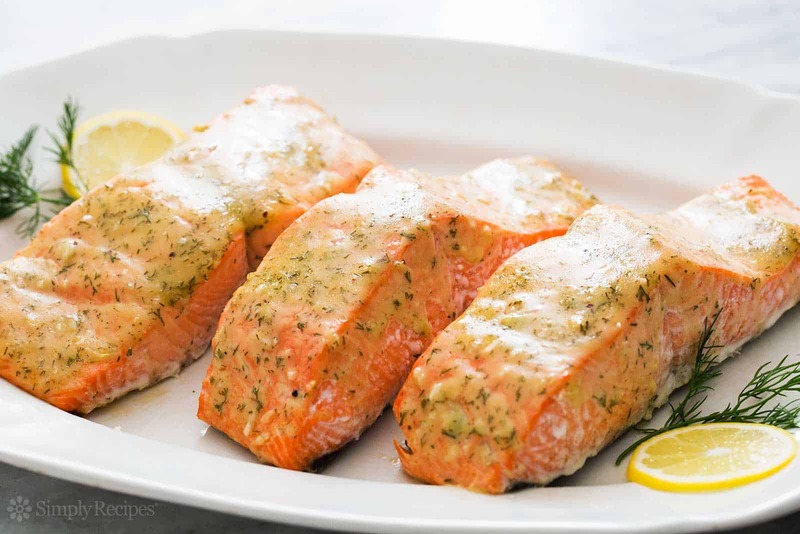 Cooked salmon should be put into the fridge as quickly as possible because bacteria will start to grow on it if it is left out at room temperature. Whenever possible, the salmon should be put into the refrigerator within two hours of cooking it, explains this guidance on food safety. If you cannot get the fish into the refrigerator within this amount of time, it is best to throw it away. You do not have to allow the salmon to cool down to room temperature. It is best to get it into the refrigerator right away in order to prevent the food from getting contaminated. You may add any seasonings, such as salt, pepper or lemon juice, to the fish before putting it into the refrigerator as suggested in the YouTube video below. Before putting your leftover cooked salmon in the refrigerator, you will need to wrap it. According to this article, food-grade plastic wrap is the best option for wrapping fish. Wrap several layers of the plastic around the fish and squeeze out all of the air between the fish and the plastic. You may also choose to use a specialty food-sealing machine to wrap your leftover salmon. These machines use a special type of plastic and then heat the edges to seal it and stop air from entering the package. If you choose this option, you will not have to use another container unless you prefer to organize your refrigerator. A shallow, air-tight container, such as this one, is the best type of container to use for refrigerating cooked salmon and other types of cooked seafood. The shallow container helps ensure that all of the food is able to chill quickly. 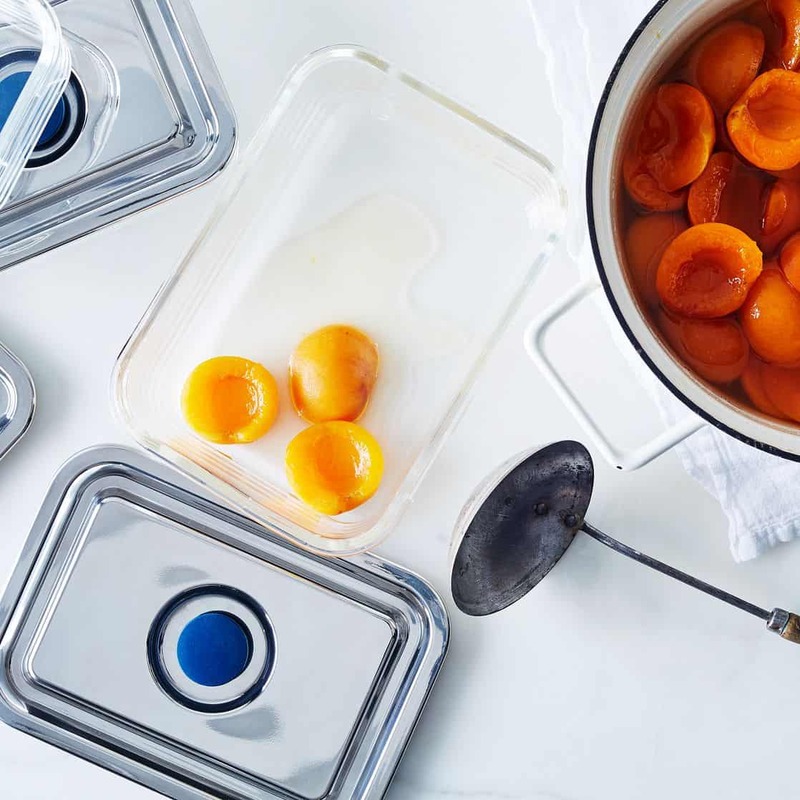 The air-tight feature of the container helps keep out bacteria, mold and household pests, such as fruit flies, that might try to get onto the food. Clear containers may be an ideal solution for you because you will be able to see what is inside of them. If you do not have any clear containers, consider applying a food label like this type with the name of the food and the date that you put it into your refrigerator. Put your leftovers in a place where they will be visible so that you will be more likely to use them while they are still safe to eat. When you are ready to enjoy your leftover cooked salmon, take it out of the refrigerator and unwrap it. The plastic wrap should not be reused on any other foods. Place the salmon on a microwave-safe dish with a tablespoon of water and heat it at 30 second bursts at 60 to 70 percent power. You can find more detail about how to reheat leftover fish in this article. If you have access to an oven, preheat it to 325 degrees Fahrenheit. 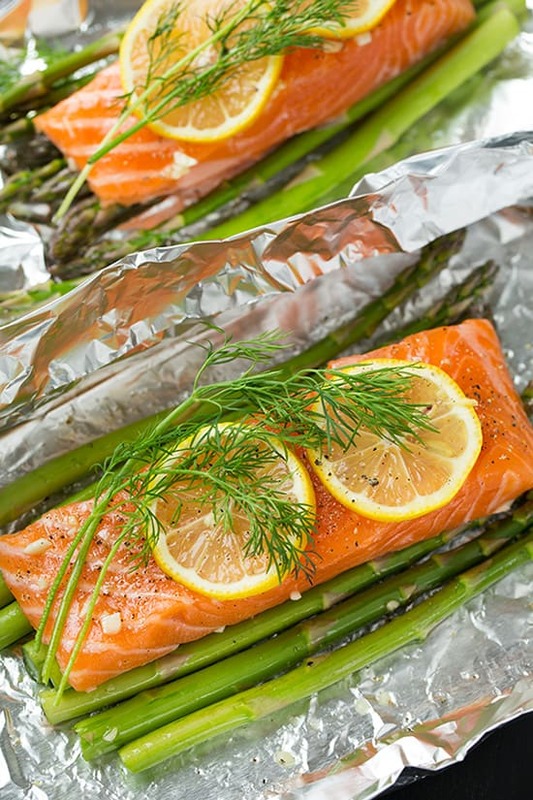 Place the leftover salmon onto a sheet of aluminum foil, wrap up the fish tightly and put it onto a baking sheet. Bake the fish for 15 to 20 minutes or until its internal temperature reaches at least 160 degrees Fahrenheit with a meat thermometer. Sometimes, reheated fish gets dried out. If this happens to you, you can use the leftover fish as an ingredient in another dish. You could make fried rice, egg rolls or even a quiche with your leftover salmon. I hope that this guidance will assist you in saving your leftover fish. Salmon is a healthy protein that is rich in omega-3 fatty acids. No matter how you originally cooked the salmon, you can enjoy it again and make the most of your hard work in the kitchen. 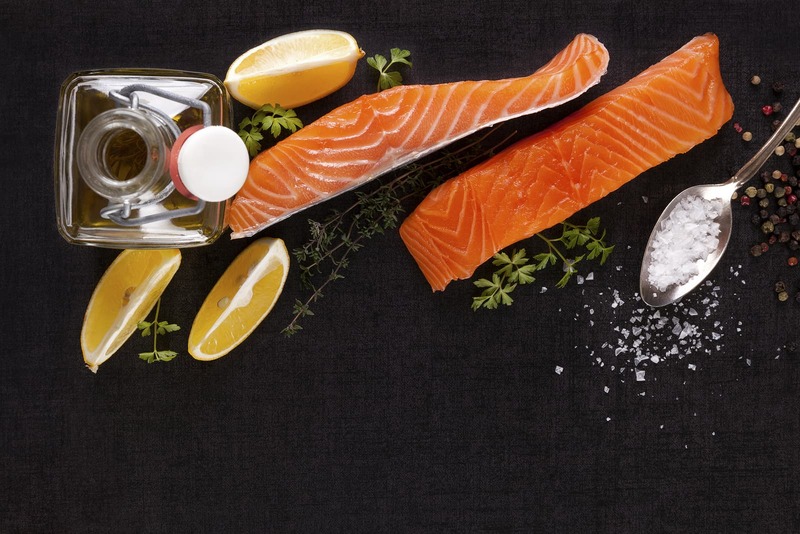 These tips should help you to enjoy all of your cooked salmon. Preparing the leftover salmon for safe refrigeration only takes a few minutes, including writing all of the details on these food labels. Wrap the salmon in plastic. Place the wrapped salmon into a shallow, air-tight container. Use up the salmon within three to five days. If the salmon develops an odor or strange color or texture, throw it away. If you have any other questions about refrigerating cooked salmon, please post them in the comments below. Actually, we can cancel the bacteria in salmon when it is left out at room temperature by using lemon as the best when it comes to killing bacteria from the seafood.